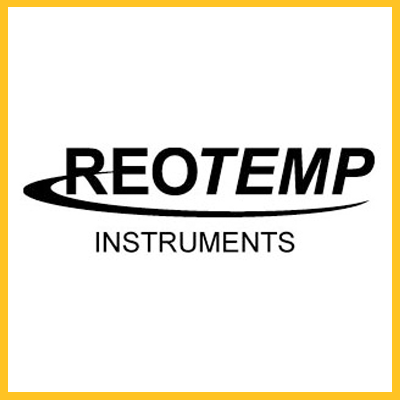 REOTEMP Instrument Corporation, a leading manufacturer of temperature and pressure instrumentation; was established in 1965 and is located in San Diego, CA. 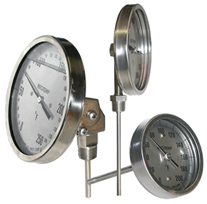 REOTEMP provides bimetal thermometers, pressure gauges, diaphragm seals, RTD’s & thermo couples, pressure transmitters, compost thermometers and related accessories to a variety of process markets worldwide. REOTEMP, Temperature and Pressure products are used primarily in refineries, paper & pulp mills, chemical plants, power generating plants, food processing plants, and water and waste treatment plants. They are also used in heating, ventilation, air conditioning, and refrigeration (HVAC/R) industries. We also make instruments specifically for municipal and backyard composting applications. All Stainless Construction Dial sizes 3”, 4”, and 5” (See below for smaller OEM sizes) hermetically sealed (ASME B40.3) Standard NPT connections Accuracy +/- 1% full scale. (ASME B40.3) Standard stem diameters Silicone fillable for vibration Standard and custom stem lengths Standard External Reset OEM Logos Dials/Custom Dial. Manufactured under ISO 9001 quality standards, are available in a wide variety of sizes, ranges and configurations to meet the demands of any application. RTD’d & Thermo couples are the most widely used and varied of all temperature sensors. Ease of ordering, and fast turnarounds. Diaphragm Seals use a flexible barrier, or diaphragm seal, to isolate a pressure sensor (such as a gauge or transmitter) from the process fluid. The REOTEMP diaphragm seal is available in many configurations.Selection of the proper diaphragm seal for a given application is very important for safety and performance. Thermowells allows the temperature sensor to be removed and replaced without dropping pressure of losing contents, liquid gas or slurry. Each REOTEMP Thermowell is die stamped with tape of material from which is made. REOTEMP TRANS-P LINE Pressure transmitters and Transducers all convert applied pressure to an electrical signal that can be interpreted by a computer or other interpretive device, where it can be used to display or control a process variable. Ranges from vacuum to 60,000 psi.